The head of the Fatah alliance, Hadi al-Amiri, called Tuesday for Europe to exert more efforts in support of the movement of the Iraqi economy, while the European Union ambassador to Iraq, Ramon Blechwa, said that the Union continues to support Iraq. 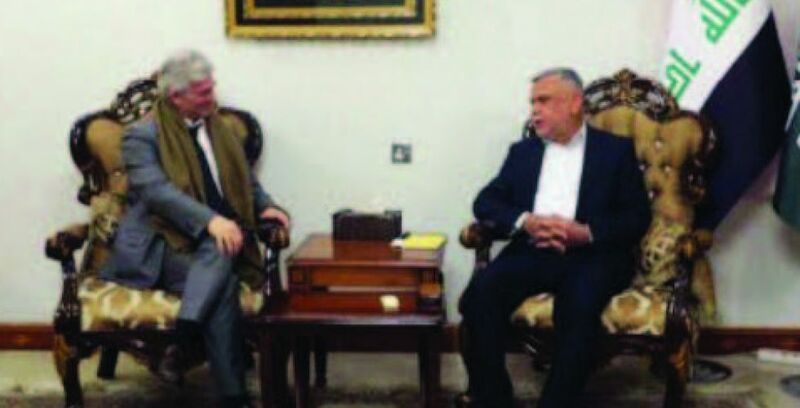 A statement issued by the Information Office of al-Amri said: "The head of the Fatah alliance received yesterday the Ambassador of the European Union to Iraq, Ramon Blechwa in his office in Baghdad," noting that "the meeting dealt with many of the files and discussions, most prominent developments on the Iraqi arena and international openness as well as the role of the European Union in the stage After the encouragement and participation in the file of construction and reconstruction. " He called on Europe to "make more efforts in support of the wheel of the economy and active participation in the establishment of vital projects in the provinces of Iraq, notably Basra." For his part, Blichwa said: "The European Union continues to support Iraq in the reconstruction process and increase the prospects for security and economic cooperation, and also support him to return to exercise his leading role in the region and the world."